The Tomahawk 1010 offers massive capacity and output. 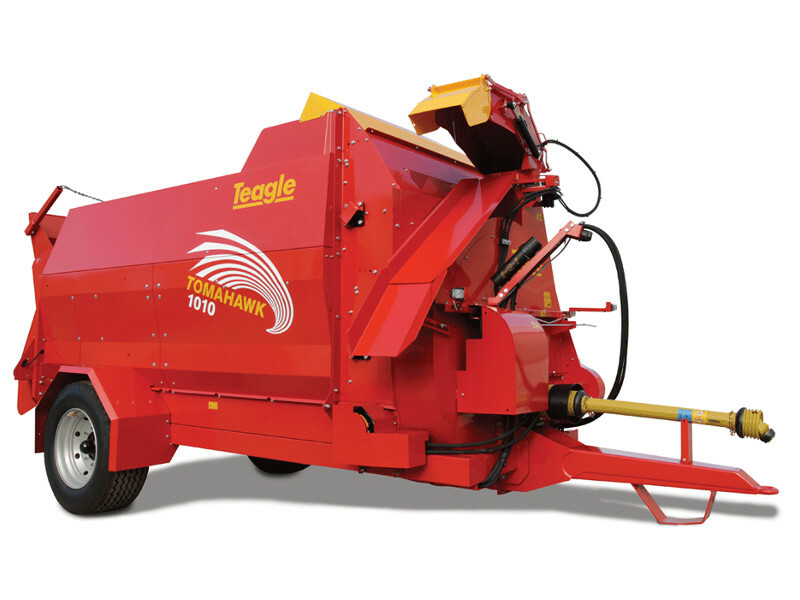 The biggest model in our range with the capacity to hold up to 4 rectangular bales. The 1010 incorporates wear resistant fan housing for durability and a braked axle for multiple site use.